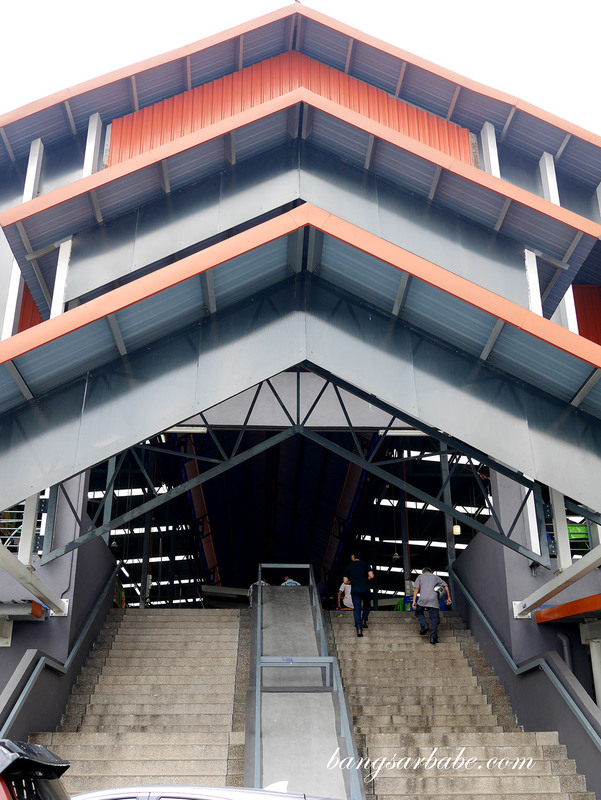 Subang Jaya is fast becoming one of my favourite places to discover hidden gems as there’s plenty to explore amidst the multitude of cafés. 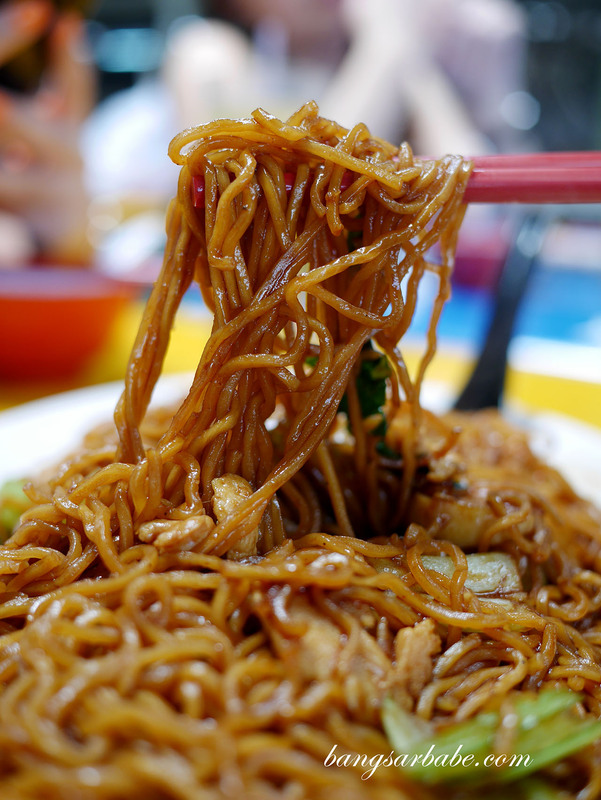 Through a tip-off, Jien and I found ourselves in the middle of Pasar Moden MPSJ in SS15 Subang Jaya (SS15 Wet Market) where tasty noodles and fried rice can be found. It is an unlikely place to discover food I would admit, but our friend insisted we won’t be disappointed. 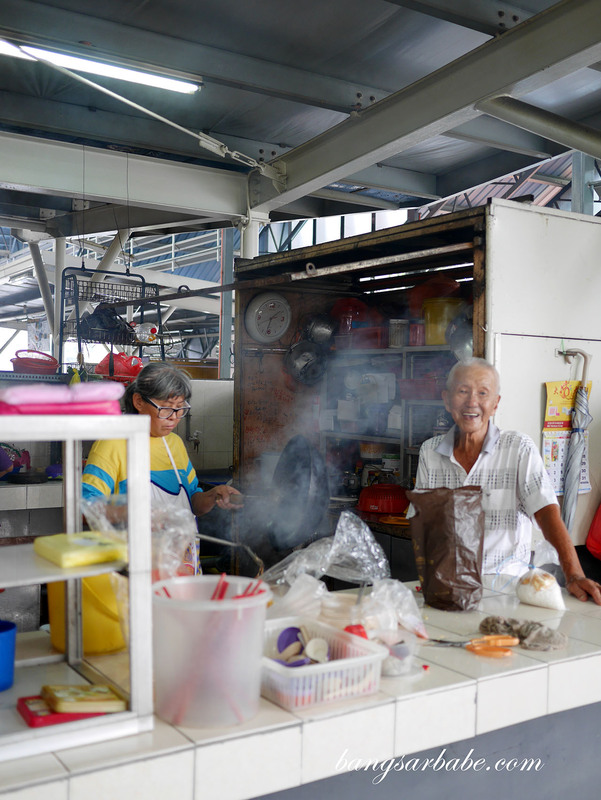 This sai chow stall is located at the end of the market on the first floor (if you’re coming in through the main entrance) and you’ll be greeted by a small and friendly uncle. 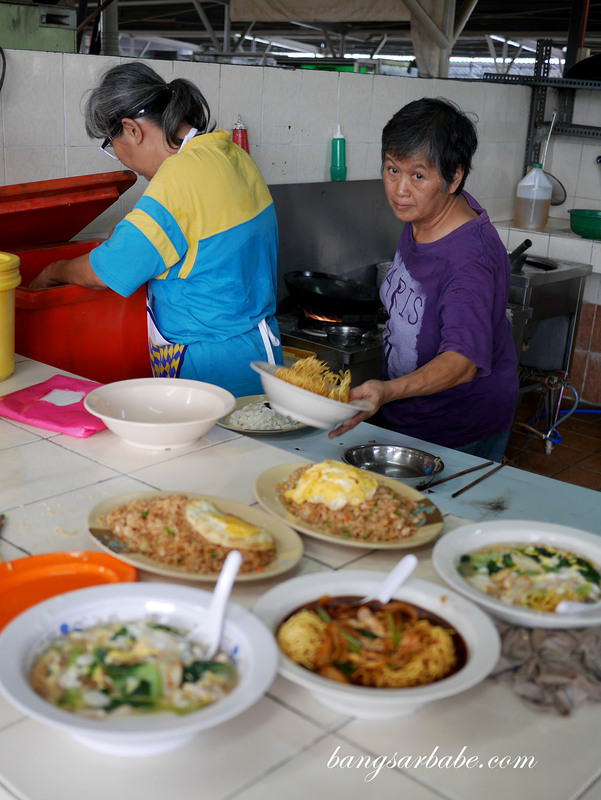 Two aunties manage the cooking station inside, while the uncle is in charge of taking orders. 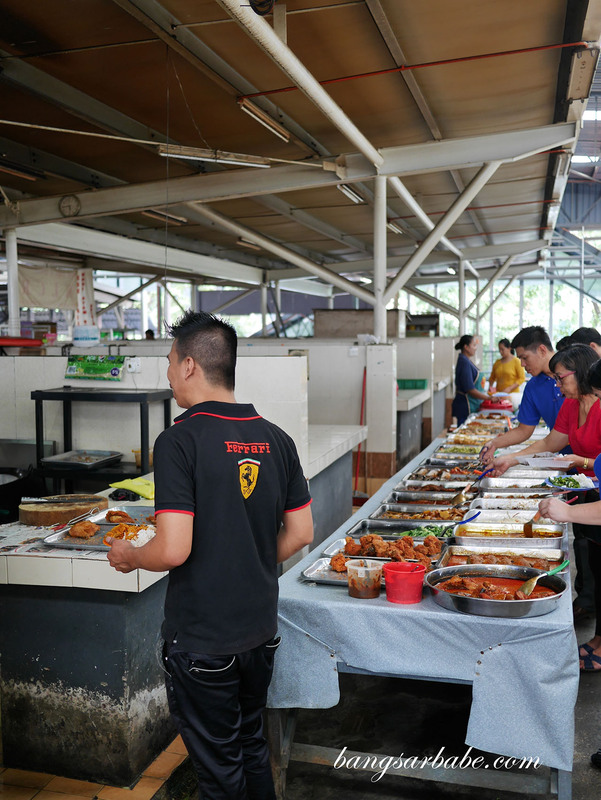 Popular items include fried rice, mun yee mee, Cantonese yin yong and loh mee, and the food is pork free. 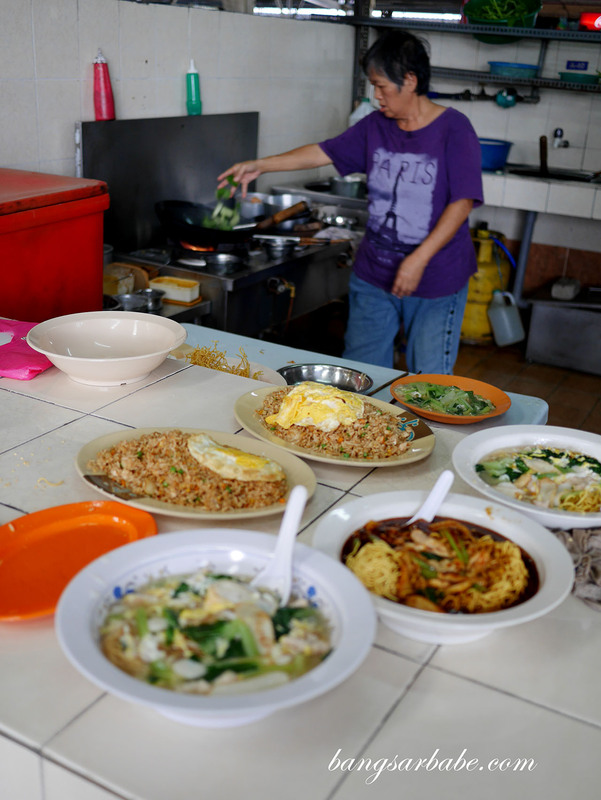 There’s basic fried rice, tomyam fried rice and salted fish fried rice – apparently all good, but I only tried the basic version. 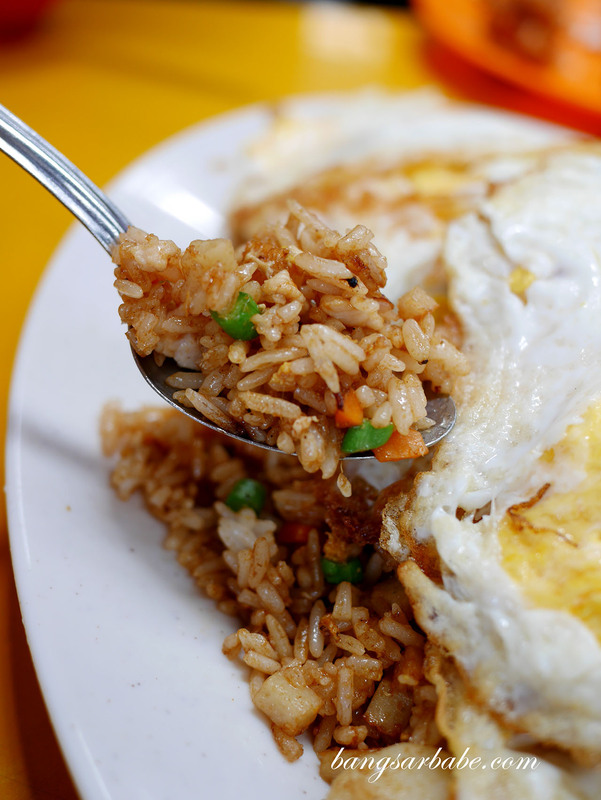 While this isn’t as good as the one at Uncle Soon (that one has char siew), the fried rice here has a good dose of wok hei and each rice grain is evenly coated with seasoning. You get plenty of aroma with every spoonful. 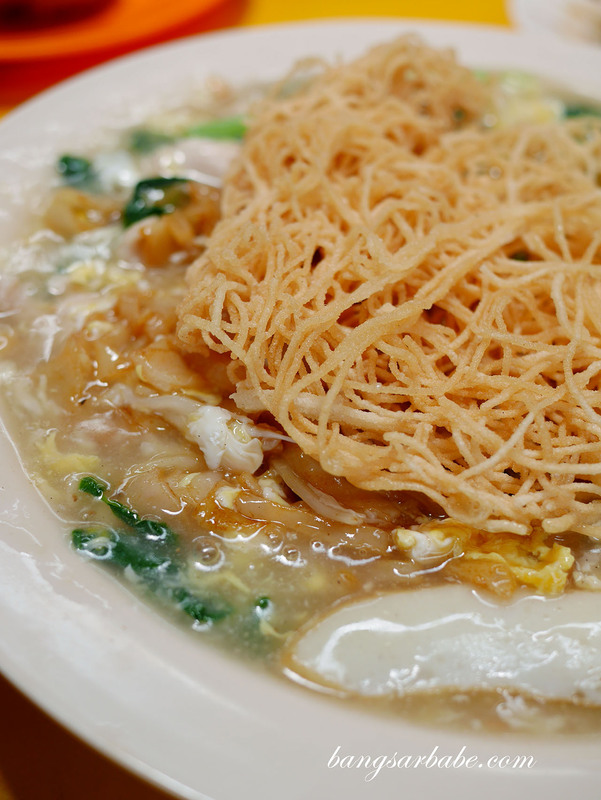 What I liked was the Cantonese Yin Yong where you get a mix of fried kuay teow and vermicelli in egg laced gravy. The noodles are cooked to order so they don’t clump together like a sodden mess, unlike how many noodle places do these days. This goes well with chopped birds eye chilli and soy sauce. Cooked just right so there’s a good “bite”. 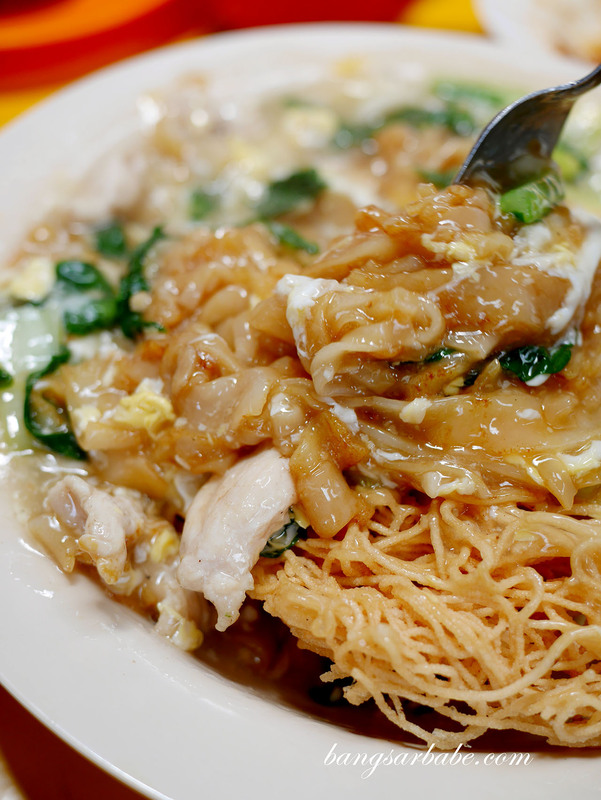 Another noteworthy dish is the Mun Yee Mee (braised yee mee) which this wet market stall does quite well. 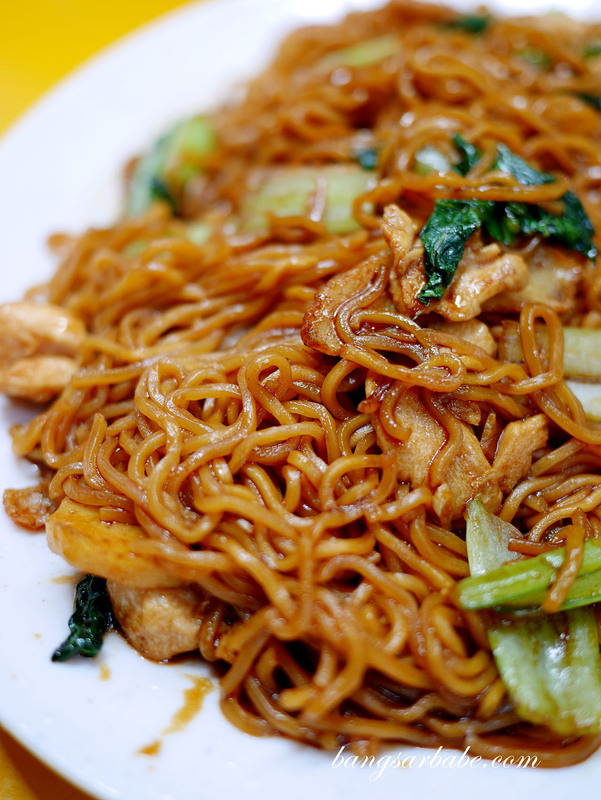 The noodles are cooked just right so they retain a chewy texture and comes with fish cake slivers, chicken slices and greens. I like how the gravy didn’t just taste like soy sauce but rather, nicely balanced from the addition of vegetables and stock. 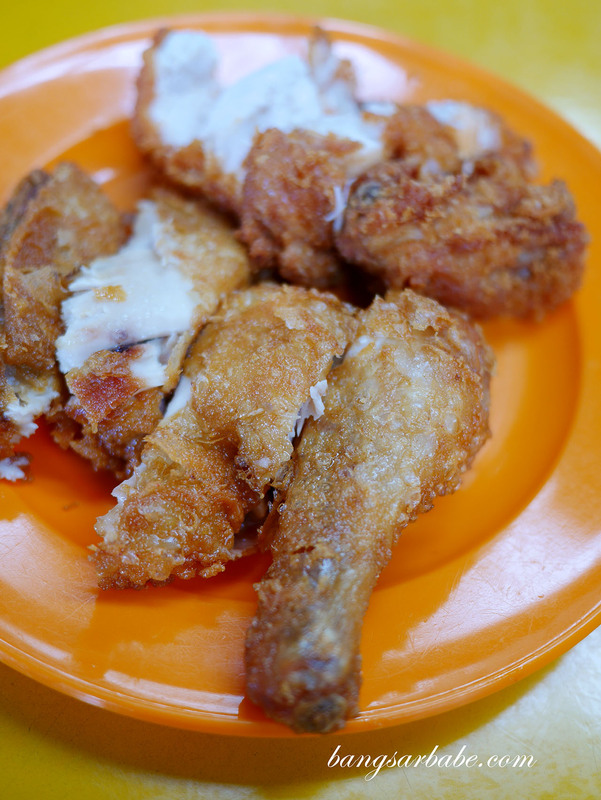 We also tried the fried chicken from the mix rice stall a few doors away – decent enough, but nothing special. Price however, was very reasonable. I was told this mixed rice is one of the cheapest in Subang Jaya. I paid only RM6.50 for a whole chicken leg and a piece of chicken breast. 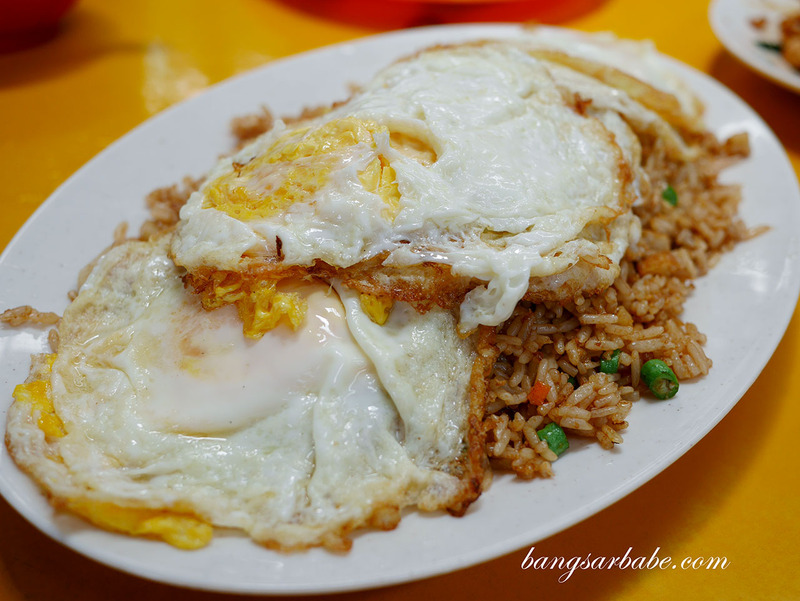 As for the fried rice and noodles, it was RM60 for 5 of us inclusive of five Chrysanthemum drinks. 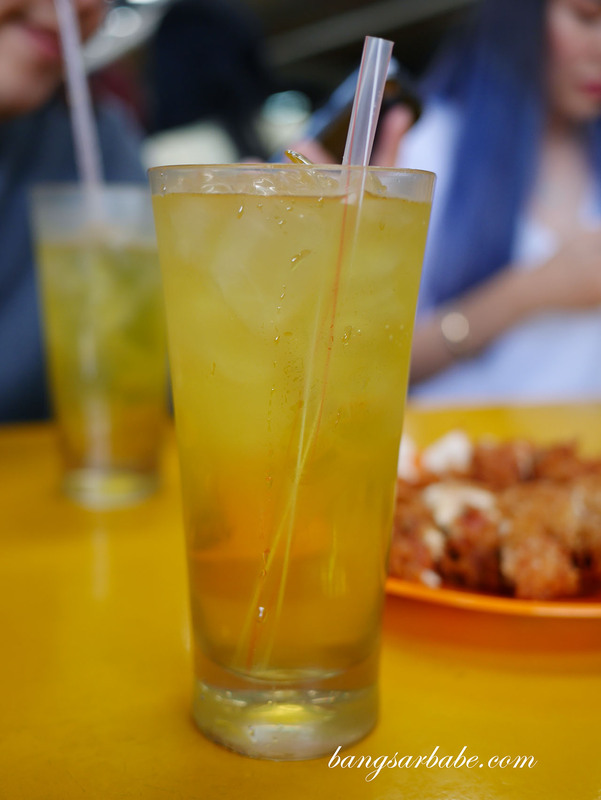 That’s RM12 per head for three generously sized dishes and our drink was refillable. 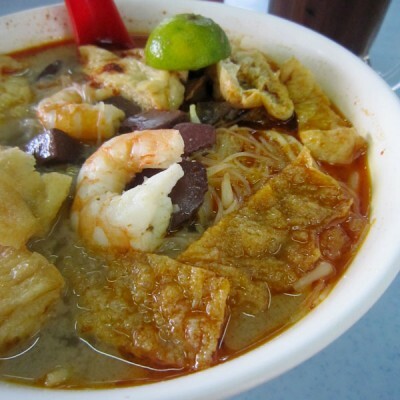 Best part is, the uncle is super accommodating and would check if we need more drink or more chilli padi. Better service compared to many cafés and proper restaurants out there. Verdict: The food is fuss-free and reasonably priced. Service from the uncle deserves a star.